2 Bedroom Ground Floor Flat For Sale in Bournemouth for £160,000. A well presented modern ground floor apartment located within walking distance to Bournemouth town centre. Ideal for walking into town, commuting easily via the local bus routes and enjoying the sandy beaches locally. With two bedrooms, plenty of inbuilt storage and a bath with shower this is a great opportunity for either couple or friends sharing. 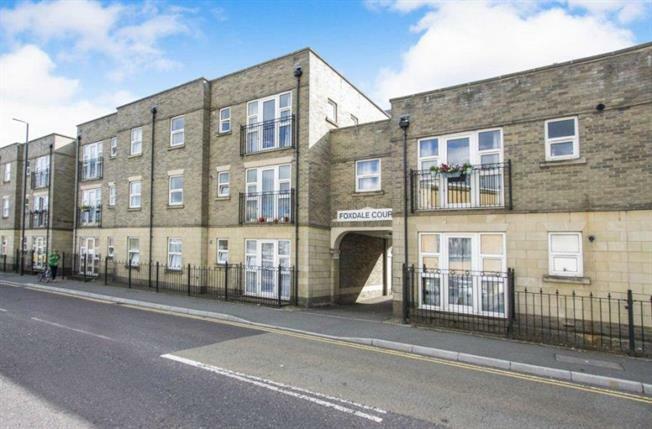 Allocated off road parking and easy access to all the major bus routes make this a perfect apartment for a first time buyer or BTL investor. The apartment is located within a purpose-built block and is situated on the ground floor of the building, with only one flat above. It offers a good-sized lounge, along with direct access to the fitted kitchen. The bedrooms in the property are located at opposite ends of the apartment, with one being a large double size with built in wardrobe cupboard and the other being a smaller double size. The bathroom is a good size with bath and shower over bath. The apartment further offers a hallway storage cupboard and storage space, safety tested gas central heating system and double-glazed windows offering both sound efficiency and hearting efficiency along with safe ventilation options. Internal viewing is highly recommended. Finally, this property is offered on a leasehold basis.